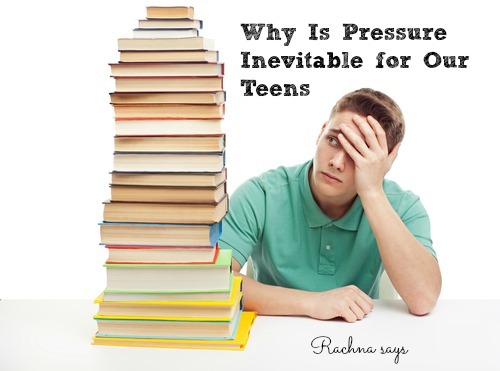 Why is Pressure Inevitable for Our Teens? As soon as one becomes a parent there is a fierce need to protect your child. When they are tiny, we are constantly stressing about falls and injuries. As they get older and start going to school, we suffer angst about incidents of bullying, loss of good friends and time management. And when they are even older, the most enabling skill we can give them is how to cope with failure. I was the most laidback mom around never sending my kids for any classes either after school or in their summer holidays. It was also because the kids did not show any particular aptitude or affinity towards music, dance, craft and other such vocations so there was nothing to hone. Not that I didn’t question my decision many times but then I said what the hell. Let them have fun now. They can slog later. For both the sons, they enjoyed their summer holidays in monkeying around and driving their parents nuts. But now that the elder son is in 10th, his student life has transformed. Despite us not being ‘put the pressure’ kind of parents with unrealistic expectations, I can see that he feels the heat. Perhaps, there is a subconscious pressure from us as well. After all, he does well academically, and we obviously expect him to perform to his potential. There is pressure from teachers, peers and most importantly intrinsic pressure that he feels. Being academically good, he feels the need to outperform. And his schedule is jam packed. Currently, his pre-Boards are going on and his 10th exam time table is out. We’ve been unable to take a vacation since months as he always has some class, exam or activity even during breaks. But, if we thought 10th was difficult, the next two years are going to be the mother of pressure. 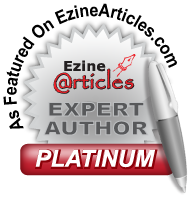 In India, if you are interested in pursuing Science then the road is quite uphill. There are coaching classes that one has to enroll in. There are a bunch of competitive exams that one has to take in 11th and 12th for which one starts preparing as soon as you enter 11th or even before that. It is definitely not easy. Sustained studies on a daily basis is the key, and there is barely room to breathe. But then this is the time in life when you slog to achieve what you aim for. In the case of my son, the dreams are his own. The choice about what stream he wishes to follow is his own too. As parents, we are guiding him, nudging him and helping him when he feels confused. But, it is also a fact that his days of taking it easy are behind him. I feel a bit sad about it, but I am sure that we have enabled him to face the rough with the smooth. In a few weeks, he will have his graduation ceremony at school. It will be a bittersweet moment seeing him dressed in a formal suit. He already towers over the both of us. And I am reminded of the fact that we have him for just a few years. I know he will fly the nest most probably in the couple of years. While that makes me sad, there is a feeling of pride and joy in raising a wonderful young man. But for now, I know he has to work hard. This is the period in his life when he has to be organized and not lacking in effort. The realities and the pressures of our education system will be upon him in full force, and we are doing our best to prepare him physically and emotionally. Do you have a teen? How do you help them cope with study pressures? Yes, I completely agree with you! There’s too much pressure these days with those million entrance exams. The memories of my +2 years still haunt me! But I’m sure your support and encouragement will help you son do well! All the best to him and to you! Definitely a challenging time for the kids and the parents too. Since Gy is still not at that stage I don’t have any advice. When I was at that stage I was very self driven and motivated to study and yet I managed to stress myself out often. I think what you’re doing is great. Emphasize the need for hard work while letting him take a call on how much pressure he can take. That’s a great balance. And they will learn, I’ve found. Peer pressure itself can be a powerful motivator, if taken in the right way. Wishing him all the best for his exams and lots of love to you all for the graduation ceremony. It will be a moment you’ll all cherish, I’m sure. I wonder if things were easier during our days? Maybe fewer distractions. Just reading about Sid makes me remember the board years and the pressure to perform! I agree about the distractions this that Rickie posted above my comment. The ability to get distracted and the short attention spans kids have grown up with must make studying much more difficult for them. I think, though, that if we set our kids up for success from a young age, teaching them responsibility, gratefulness, etc. they will naturally take things (at least somewhat) seriously as teenagers. 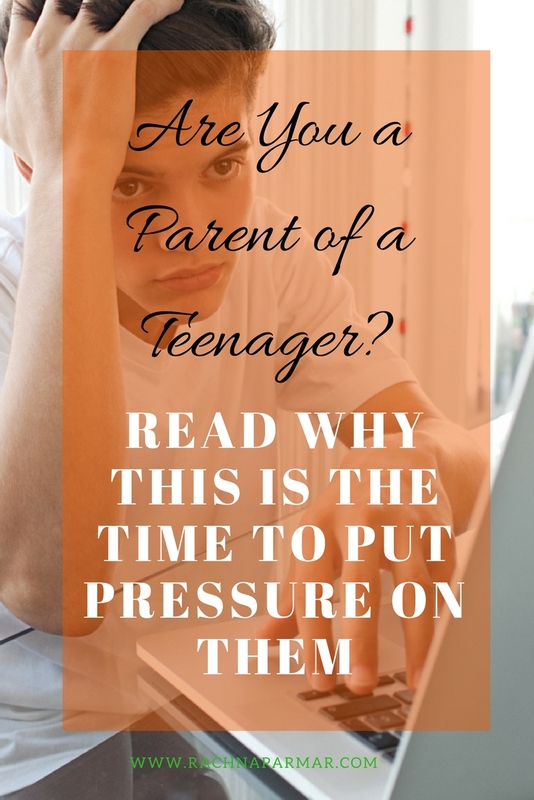 I think putting more pressure on certain kids just makes it more difficult – they’ll lash out or internalize a feeling of not being good enough. Sometimes we have to set them up for success and let them find their way on their own. I know a lot of people who slacked off in high school but ended up taking things more seriously after high school and did just fine for themselves in life. Mind you, they were brought up with good morals and taught to believe in themselves. I remember the stress of the exams from my study years and indeed, it will get harder in the next 2. I don’t know how it is in India but in my country at the end of the 12th year you have to pass a national exam of which depends your university admission. You have to prepare the entire year for it and it is very stressful. All the best to your son for his exams. He will be flying high, I am sure. Best of luck! My son is going to high school next year and we have to sign up for one of the two high schools in our area. I was a bit surprised (but, maybe not that much) that he chose the one with a more rigorous academic focus, but he’s already determined what path he wants to follow and decided that this will be the way to go. I’m just in awe of teens today! They are so clear-sighted about what they want and have researched how to get it! I was just interested in lazing around, reading novels!! Looks like being a teenager or a parent of a teenager is super stressful. I remember hating giving exams while growing up. I am so glad that is behind me. sigh! This takes me back to my 12th! While I was pretty chilled about it as I was a good student, the pressure was due to the expectations that my parents had on me. It was a really tough time and the only solution is to work harder and keep your mind clear about what you want to do. All the best to your son for his exams and all the best to you as the parent for helping him through it. I felt a lot of pressure to perform at school and at university as I was the one in our family considered the ‘smart’ one, I would have preferred to be taught good healthy study habits rather than just being told I was smart. Great post. I can completely relate to this post. The thought of my elder one going out for glhighrr studies in just 2 years make me sad too. How time flies! I can see the pressure you are talking about too. It’s only studies now and no time to enjoy. Infact next 2 years will be the same. In India, you cannot avoid the pressure of these 3 years. Next few years will be the toughest for your son. Adding pressure is bad. Frankly, I am not happy about the 11th and 12th schedule that the coaching class has. There is no break at all. But, the children do need a few breaks in between. I also did not put my sons in classes other than for swimming which I felt is a life skill. And their lack of inclination, left me with not much except a lot of guilt for being a bad mother who doesnt take the kids to classes. Life for a teenager when he/she is in 10th, 11th or 12th is particularly testing times. It matters a lot on how the parents deal with the children in this period. It takes me back to my times when there used to be high pressure to choose Science stream in 11th Std if you were a good student (getting high percentage) and how you would be looked down upon choosing Commerce or Arts. I shall be following your posts on this topic to prepare myself for the future. Being a parent is sometimes the hardest job out there. Being the parent of a TEEN definitely has its challenges! My daughter is 16 and a junior in High school. School come first then horses and then friends. My daughter has great grades, she plays 2 instruments, and she’s an equestrian. But, has more than enough down time for friends and fun. But, she’s known since she was 8 yrs old that school and horses come first. There has to be a balance or kids will just be miserable. It is always such a struggle for me to make sure that my “newly” teen daughter gets both adequate education, social skills, and adult preparedness, while at the same time making sure she enjoys her last years as a child! Sometimes I find it crazy to think that I also went through this phase, but those days were very different. We’ve been super-laid-back parents too, and while Vidur went to music class, he did well on his own in school. No extra class, no coaching class. In fact, today, I can safely confess that even when he passed his 10th std at the top, we had no idea what he wanted to do next. It was a surprise when he picked science, but then I secretly suspected it was because for him it was easy to continue in the same school (KV) till the 12th. Well, after the 12th, with the avalanche of entrance tests, it was a stressful time, but not so much. We were pretty cool with whatever he wanted to choose. He wasn’t interested in engg. anyway, so the pressure of that was off. However, we were pleasantly surprised when he got into IISER, where the process is really tough–and chose to pursue the pure sciences. And this year, he stunned us by choosing to major in Math. How have we coped throughout? We’ve always assured him that whatever he chose was fine with us, but to put in his 100% regardless of the outcome, stay healthy and get enough sleep. He continues to do that–except for the enough sleep part which is an inevitable part of college. The toughest part was the thought that after the 12th, he will only spend brief stints at home during breaks. Sigh. My suggestion? Make the most of every moment you have together and enjoy every little victory. The memories will last a lifetime. I’m not a parent, but I feel as though you make some really great points. I have a nephew and a niece in classes 12 and 11 respectively and I’m amazed at their focus. They are choosing to not go on holidays and outings, choosing their coaching classes and deciding their streams. One of them recently gave up plans of engineering in favour of designing. It was a huge decision because the finances involved in the coaching classes are pretty crazy. I think as parents all we need to do is make sure they aren’t stressed out, to let them know that nothing is more important than their happiness. Oh and if you have a bunch like mine, you might need to push them and keep them focussed too. It is very difficult to go through the teenage years, for both the child and the parent. Communication is the key for us ? It’s a tough world of exams and the pressures that come from the society we live in that constantly push children to the edge. It’s not easy in India as the system gets very competitive. But, I personally love the way you have raised your children and letting them bloom. But, what matters is the independence sought and flapping the wings. 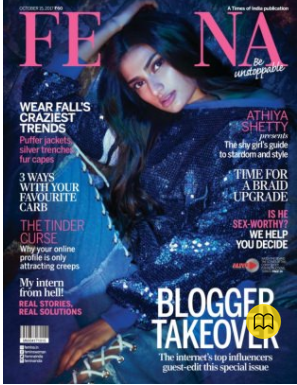 Vishal Bheeroo recently posted…Pune Memoirs (III): Lights, Camera, Action! I shudder to even think of what I’d do when it’s going to be time for D to take all these competitive exams. It’s not for a long time, but still. Though I have to say I agree with the laidback approach for the initial years, because it’s their time to be kids and just enjoy life. There is plenty of pressure in the coming years anyway. 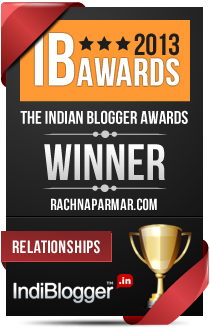 You seem to be doing a stellar job, Rachna. I’m sure the young man will do just fine, and come out extremely successful and happy on the other end. Wishing him (and you) the very best. That time is going to creep up on me with my son in 7th now. I also, like you haven’t pushed him for any activities much during his holidays..but he’s also a very laid back kind of chap.So again it’s a balance between nudge and the push at times. While he has been studying mostly by himself, still given half a chance he would rather play and push it till the end. Anyways, i still have to travel the path.Congrats to Sid and i am sure he will do very well with all that you and your husband have equipped him with. 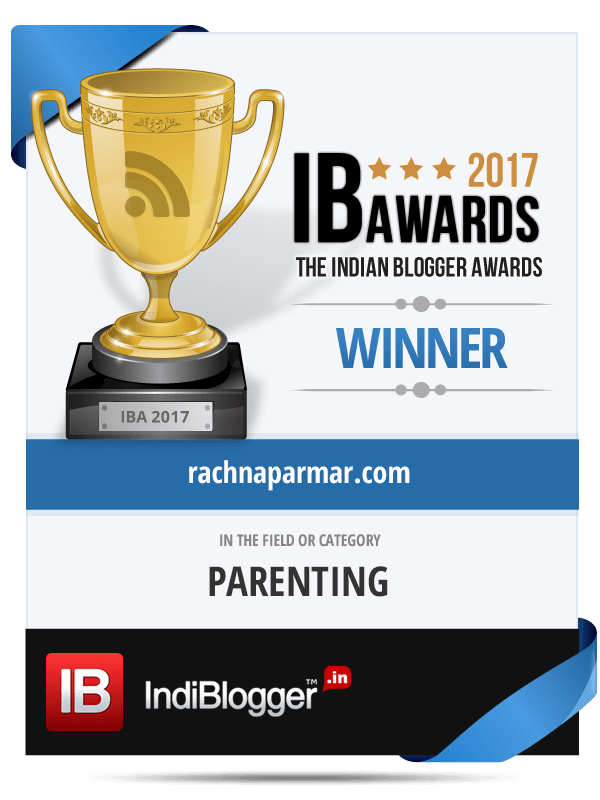 As the mother of a teen, I hear you Rachna, and i do agree that some amount of pressure is good for the kids but it also depends on the kid and how they learn to take responsibility for themselves. There is a rat race out there because of the fierce competition for seats for the technical and other courses that force us to add to the pressure but I think we must let them lead themselves on. It should come from them. My son also takes on a lot of pressure and aims to outperform because he feels as a top performer he has to stand out always and that really does put a pressure on him. We haven’t put him in any of the classes so far but I guess we are almost there in a few years’ time, so bracing up and keeping my fingers crossed. All the best to Sid for his future endeavours. I’m sure he will live upto his expectations and come out with flying colours, just as he is aiming to!